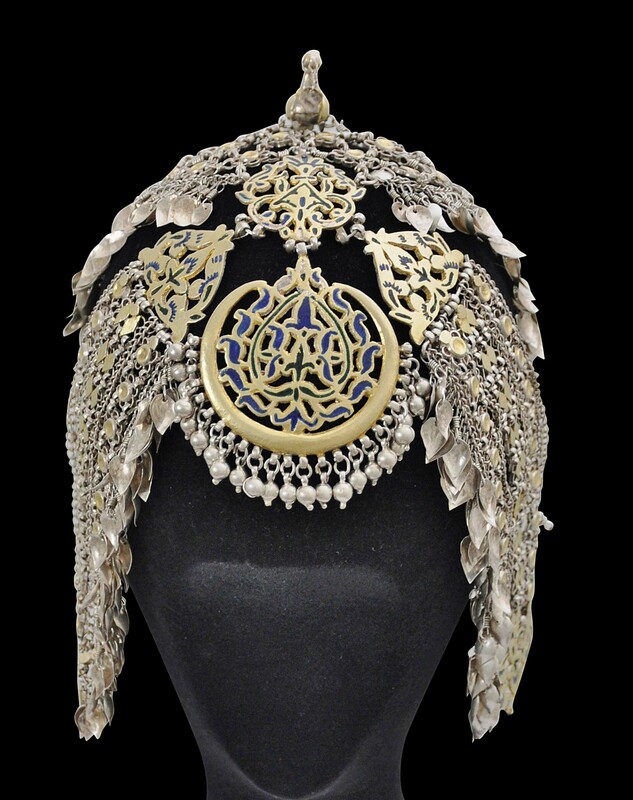 Formerly in the collection of the late Paul Walter; most probably acquired by Walter in London. 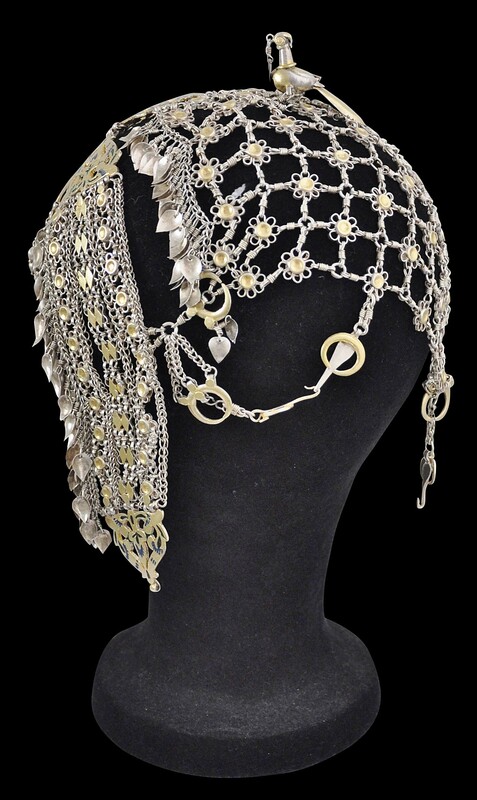 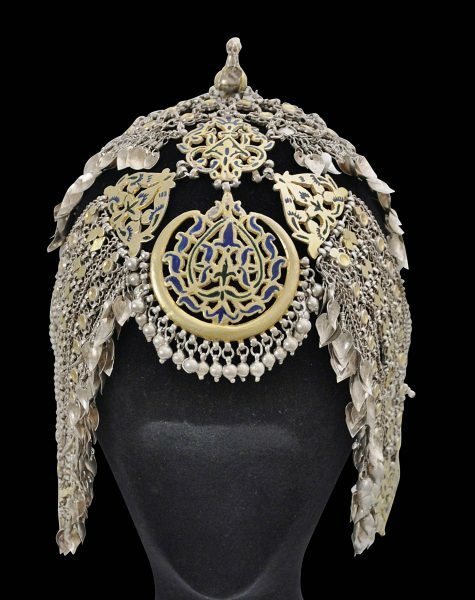 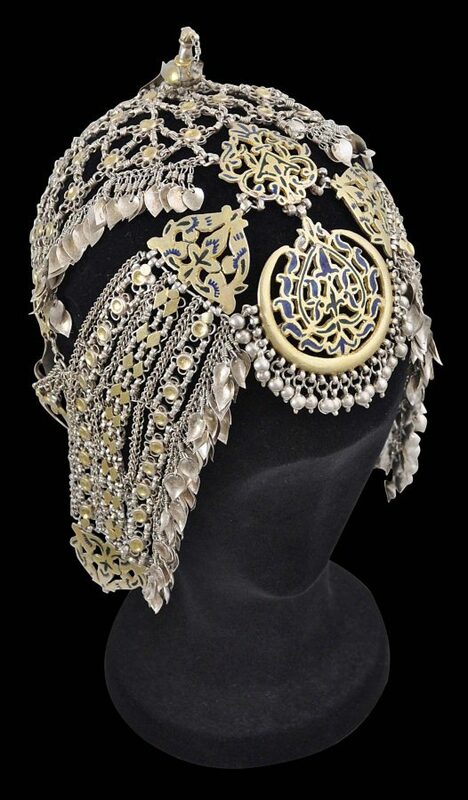 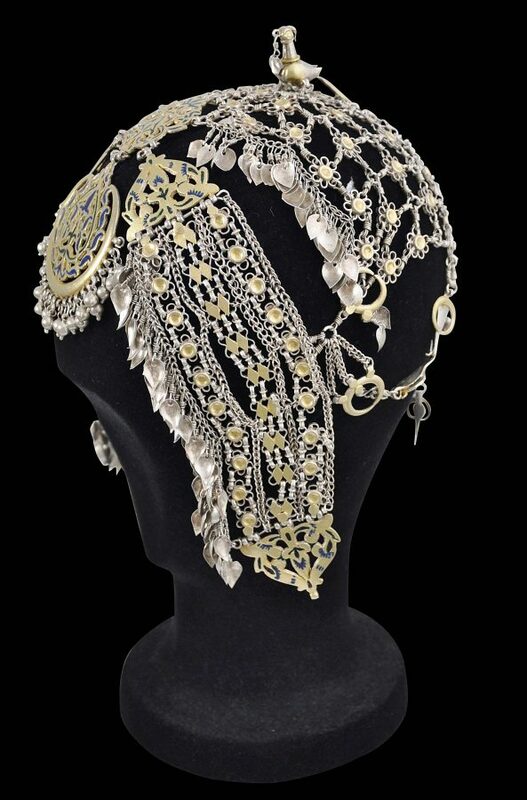 This superb and rare head covering is of silver that has been partly gilded (gold plated) and enamelled). 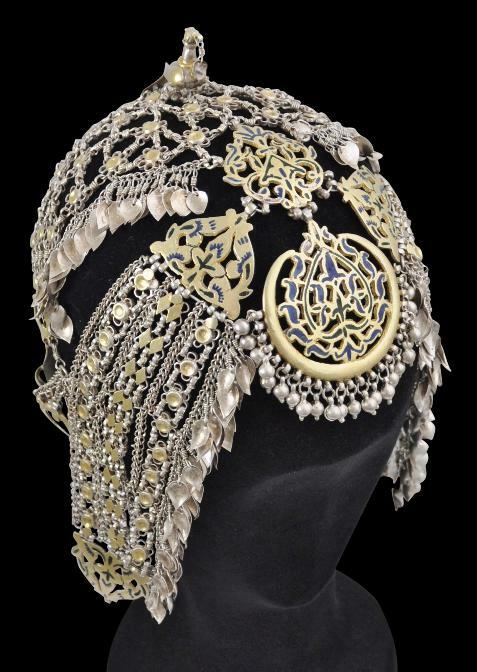 It would have been worn in Himachal Pradesh, most probably by a bride. 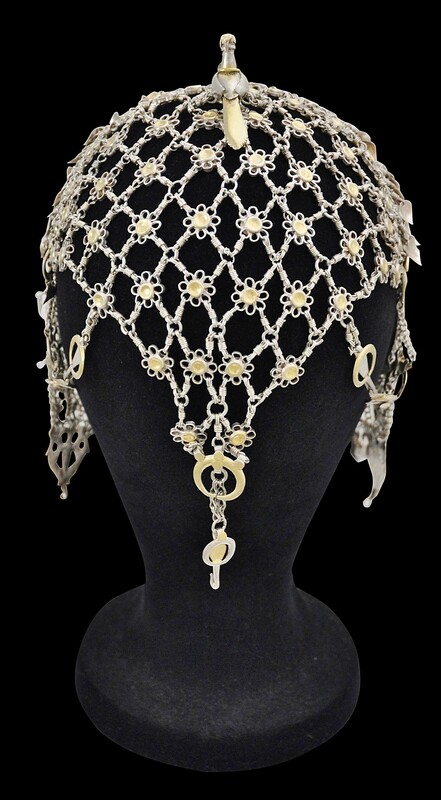 The various chains and silver netting cover the head and drop away down the neck. 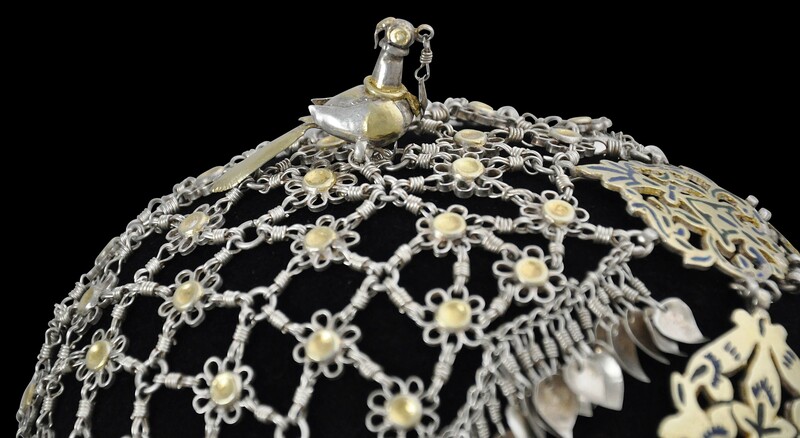 The lot is surmounted by a little parrot that has been partly gilded and which holds a small dangle in its beak, which matches the many dangles used elsewhere in the headpiece. 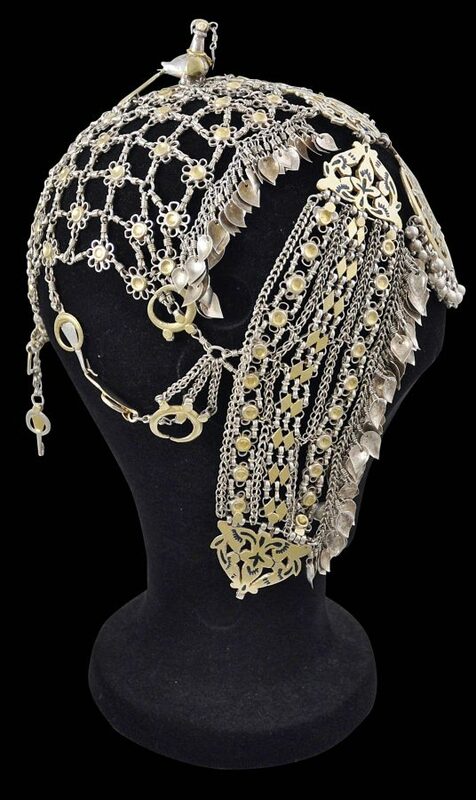 The headpiece is fitted with several hooks so that further hangings could be attached. 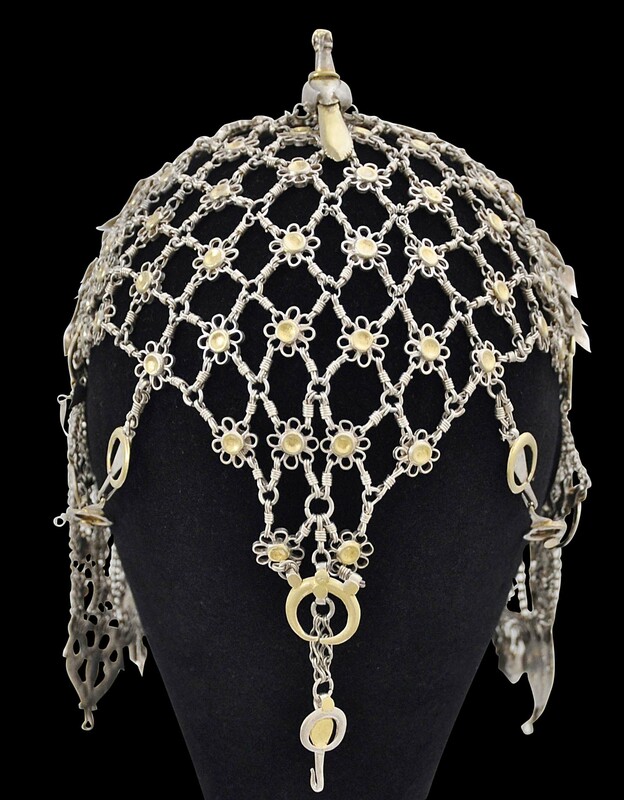 Necklaces and forehead ornaments in this style are known but we are not aware of a similar full head covering having been published.